EducateMax is fully integrated, automated, web based Enterprise software system that has solutions of being dedicated to activities associated with managing the student learning, assessment. Fully integrated, automated, web based Enterprise software system that has solutions of being dedicated to activities associated with managing the student learning, assessment. EducateMax portal website leverages institution to reach out public, alumni and prospective students. A rapid development and versatile use of the web requires an appropriate means for presenting both the learning process and the school management process. Atomizes the academic administration and the learning process. It is the most scalable and an efficient platform, highly optimized for the use at schools and Universities. EducateMax portal website leverages institution to reach out public, alumni and prospective students. A centralized database will enable your school to record, access, report and manage students and staff data and performance records in real-time. As soon as any information is added or changed it’s available to all users immediately. For school administrators, this would facilitate the data-driven decision making that will lead to an improved and efficient school management with real-time access to track their children’s progress. 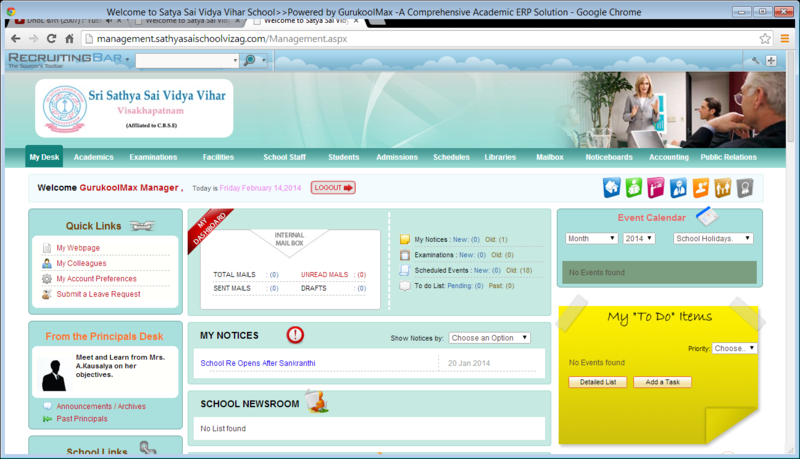 Manages all school information in one integrated, real-time database. Aids in Timetable Management, Library Management also includes management of Bus Routes, School Calendar and Directory Performs billing, tuition fee management and automatic reminders after due date. 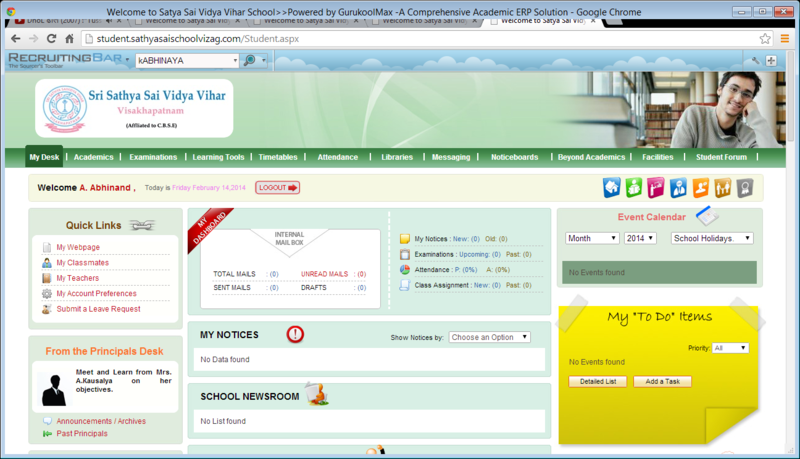 Monitor and track day-to-day operations of the school with customisable reporting. 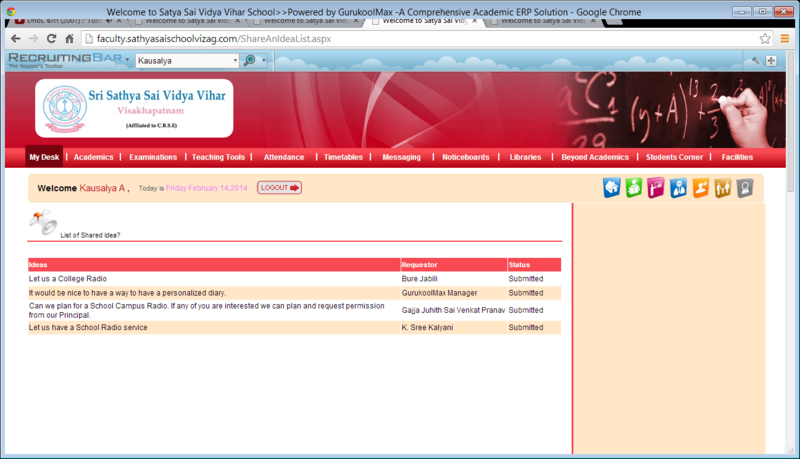 Electronic approvals of schools functions and accountability of staff. Develop student rosters, manage curriculum, performance evaluation, distribute assignments and quizzes, create lesson plans, schedule assessment based on the class room study ,post messages and streamline other daily administrative tasks. 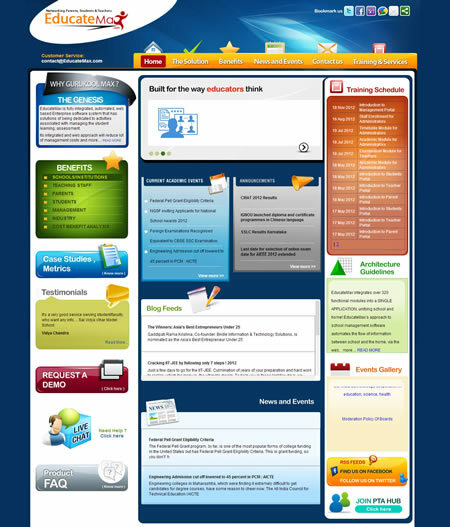 Learning Tools, to allow access to thousands of free "teacher approved" lesson plans and materials quickly. View his / her profile, time table, examination schedule, syllabus and report card Update assignments Easy access to events and extra curricular activities. 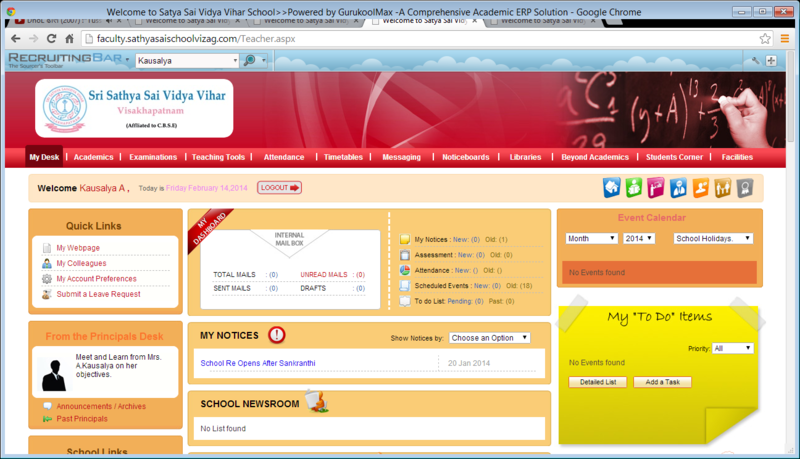 Enables parents, to proactively participate in their childs education via the Internet and Internal Messenger. 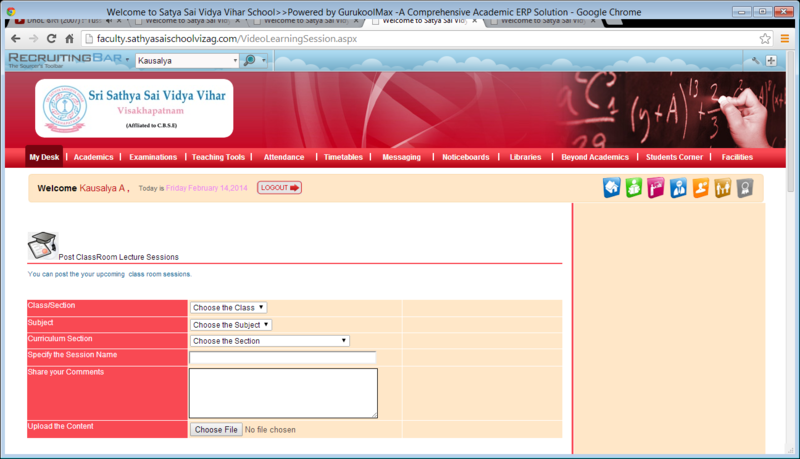 Parents can check their student's progress, homework and grades. This module is specific for professional institute which aids the students and industry interface. This is an extension to the career guidiance department. Ananth Technology did an excellent job and our clients are happy with outputs generated. The products developed by SolutionsMax is widely used by our offices in Germany, Italy as well as by many customers world wide saving us many hundreds of hours. Ananth Technology provided solutions in spatial and non-spatial domain and helped in effective implementation of various processes in our company. The Ananth Technology team has been good to work with. They quickly gained a good understanding of our requirements and proposed a solution that we were enthusiastic to adopt. Mr.Ajay Pradhan, Managing Director, DHI, Denmark. 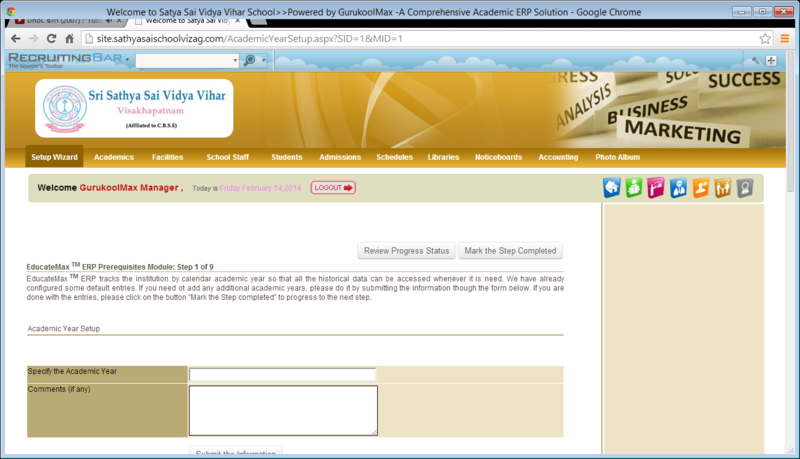 EducateMax ERP powered by Workflow Automation & Business Intelligence. Stakeholders work seamlessly with one another to make informed decision making. Think of us as partners in your success. For it is our constant endeavour to bring to you world-class solutions. Solutions to fit your business needs. Always. Copyright SolutionsMax Inc © 2014 . All Rights reserved.